The Parthenon was destroyed by a Venetian bomb, on the night between the 26th and 27th of September 1687 (for the background story see an older post). 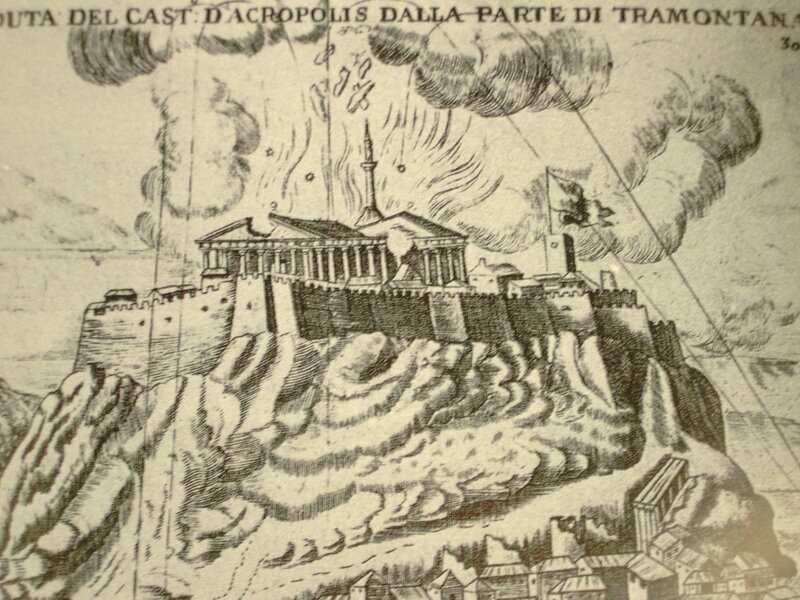 People often think that the bomb which blew up the Parthenon in 1687 was shot by cannon placed on the nearby Philopappou hill. As a theory it is attractive, but it is also untrue. The aim of this post is to prove that the fateful bomb was shot by a mortar, not cannon, placed much closer to the Acropolis. I will try to prove that the popular theory contradicts not only eye-witness testimonies and other sources of the time, but also the laws of physics (ballistics). The story of the cannon shot has become so popular that one finds it not only in guide books and the internet (see here, and here) but sometimes in works of serious scholarship (such as this). It is of course a very appealing theory that would have made a perfect Hollywood script because it is not only easy to grasp but, more importantly, spectacular. Imagine the scene: A warm September evening, the gunners stand at the top of the hill, under the ancient mausoleum, in colourful 17th century costumes. They enjoy the view to the Acropolis, which is illuminated by the light of a full moon and nearly constant artillery fire. We watch the gun crew loading the gun, the officers calculating the right trajectory, the fuse being lit and the cannon firing with deafening noise. After a few seconds we see an explosion blowing the Parthenon apart, with towering flames leaping out of the broken temple amid the cheering of the Venetian forces. Spectacular? Absolutely. Historically correct? Definitely not. Every description of the events that we have from that time (and there are several, in all the languages of the multicultural mercenary army of Venice) states in no unclear terms that the Parthenon was blown up by a bomb that fell through the roof. With no exception, all images that show the explosion agree: the bombs that blew up the Parthenon came from above. Most of the pictures show the bombs complete with steep trajectories. 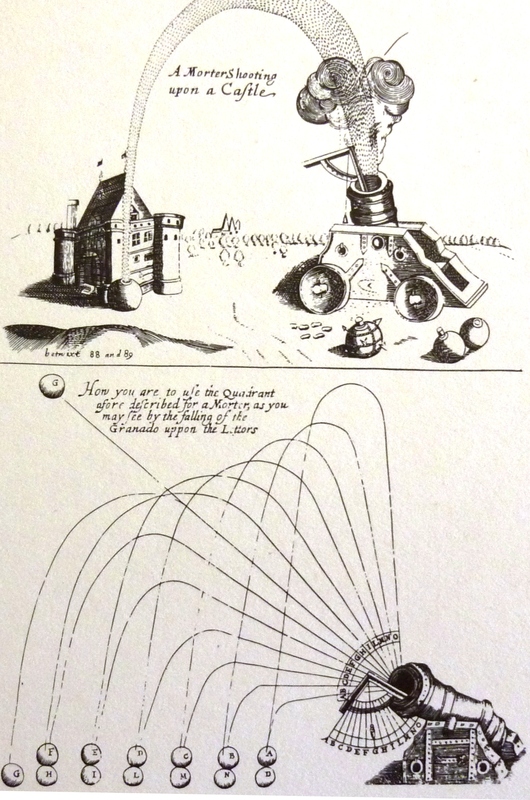 One can easily see that these trajectories do not correspond to cannon fire, as cannons shoot in arcs that are much flatter than those shown in these drawings. The different trajectories of projectiles shot by cannons (guns), mortars and howitzers (not used by Venetians at the time). One can easily see the difference between the wide arcs of cannons (bottom) which strike the walls and the higher arcs of mortars (top) which bypass the walls to strike at the enemy behind. From here. The steep lines of ascent (and subsequent descent) are typical for mortars, guns with barrels much shorter and wider than those of cannons. 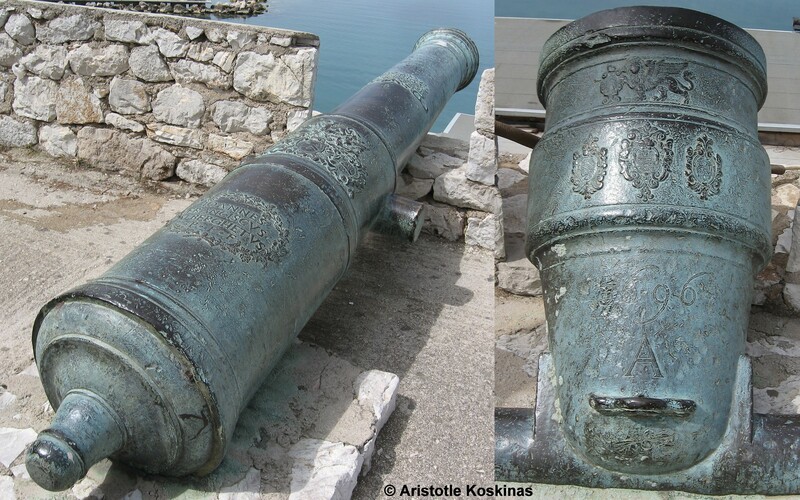 17th century Venetian cannon (left) and mortar (right), in the castle of Nauplion. Notice how much shorter and wider the mortar’s barrel is. A lion, the symbol of Venice, and the date of manufacture can easily be made out on the mortar. Mortars could hit a target that stood higher than the attacker, something that cannons find very difficult to do, especially if the elevation is rather high. In sieges, cannons concentrated their efforts on creating a breach in the castle walls, through which the attacker’s troops could enter and take the castle. They occupied positions facing the walls and aimed their fire at the lower part of a particular section. They kept shooting at the same spot over and over again, until the wall weakened and the entire part above the damage collapsed in a heap of rubble (which also made a very convenient ramp for attacking troops). In Athens, a battery of cannons was indeed positioned somewhere on the hills to the west of the Acropolis, as evident by the heavy damage they inflicted on the western side of the Parthenon. Yet, however hard they tried, they were unable to create a breach through the thick marble walls and columns and thus reach the powder magazine. Mortars, on the other hand, were not impeded by walls, marble or not. They bypassed them, aiming more at what was within the castle than the walls themselves. They were used to rain fire on the parapets or strike at the people and structures within the fort. Mortar batteries were usually placed quite near the enemy’s defences and did not need a line of sight in order to be effective – just an officer with a good head for math. Another illustration showing the high arches typical of mortar fire. Mortars shot a variety of projectiles, among them bombs, like the one that destroyed the Parthenon. These bombs were placed in the mortar with their fuse towards the outside, which had to be lit just before the priming of the mortar. 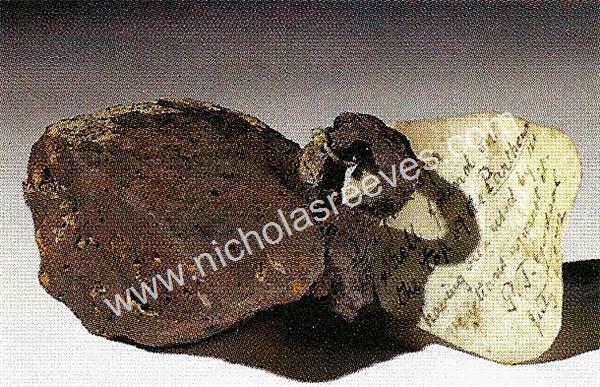 A fragment of such a bomb can now be found in the Myers Museum at Eton College where it was brought by a former Etonian, after a visit to Greece. According to the 19th century label still attached to it, it is “a piece of a shell found on the top of the Parthenon having been used by the Venetians against it.” An expert of the Royal Armouries has identified it as a 17th century Venetian mortar bomb and has confirmed that it might indeed have been part of the bomb that blew up the Parthenon (see here). Fragment of a mortar bomb recovered from the Acropolis in the 19th century. From here. Therefore, eye-witness testimonies, drawings of the time, the type of projectile used and the laws of ballistics, leave us with no other choice: the weapon that fired the bomb which destroyed the Parthenon could only have been a mortar. But where was that mortar placed? Could it have been on Philopappou hill? I’m afraid we’ll have to rule it out, due to the distance separating the two hills. Mortars, as I said, had a shorter range and were positioned closer to the enemy. We have to look elsewhere for the position of the mortar battery. Let us take a look at those drawings again. All of them show batteries placed to the west and east of the Acropolis, except one, that shows cannons placed to the south. 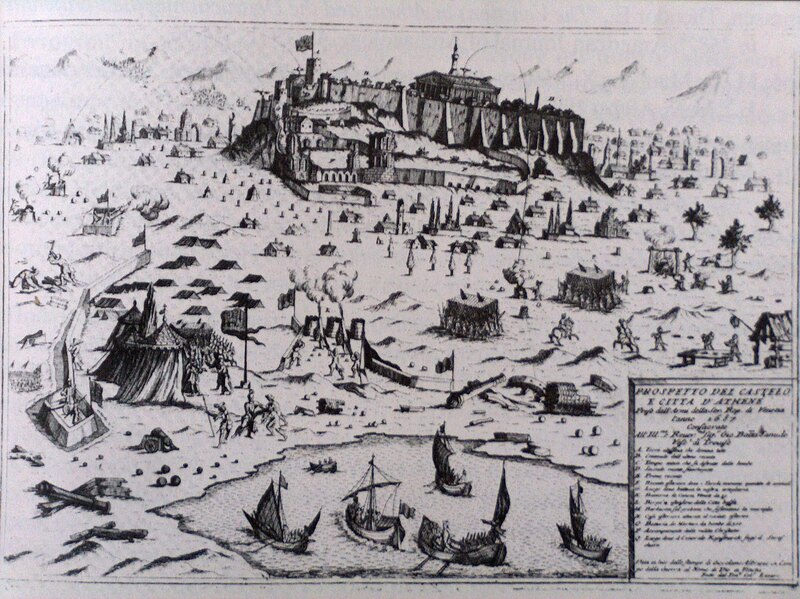 Inaccurate illustration showing the Venetian forces during the 1687 siege of the Acropolis. This one’s artist was obviously more interested in showing the various regiments of the Venetian army; he pays little attention to the landscape, focusing only on the Acropolis which is shown isolated, rising above a nearly featureless plain. The artist has entirely missed four prominent hills around the fort (Lycabettus, Pnyx, and the hills of Philopappos and Mars). These and other inaccuracies make the drawing unusable as a dependable source of information. What about the other pictures? It seems we have a consensus here: the rest of the prints or drawings show mortars placed to the west and east of the Acropolis. Some of the prints are obviously made with a wider audience in mind. They concentrate on showing the landscape or the explosion, and less on distance perspective or the correct position of landmarks. 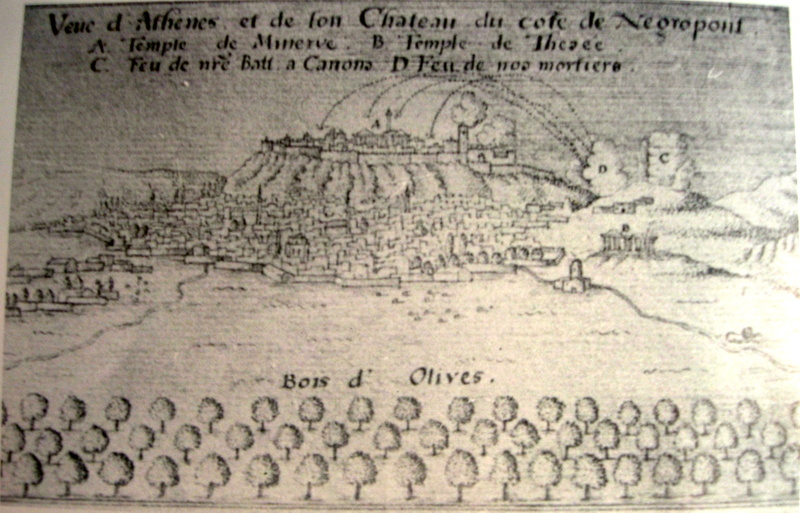 Illustration showing Athens from the north and batteries of cannons and mortars to the west of the Acropolis, probably on the hills of Mars and Pnyx. Illustration showing Athens from the north. Two batteries are shown on the hills west of the Acropolis, one of cannons and another of mortars. More trustworthy are the topographic maps drawn by engineers of the Venetian army which are extremely accurate, even by modern standards. These do not tend to sacrifice accuracy for the sake of a pleasing composition and are therefore more dependable. Some are being mined by archaeologists looking for landmarks that have long disappeared. I will concentrate on one, the last one, which conveniently marks the position of the Venetian guns and identifies the bombs that caused the explosion as coming from the eastern battery. Illustration showing the bombs that blew up the Parthenon as coming from the east. 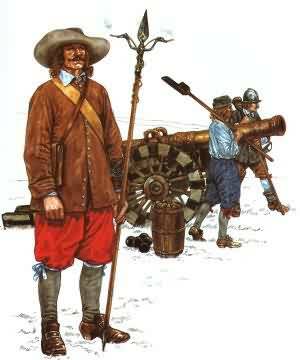 Since most accounts agree that there was one battery of cannons and two of mortars, and most illustrations show precisely that, I am inclined to agree with them. 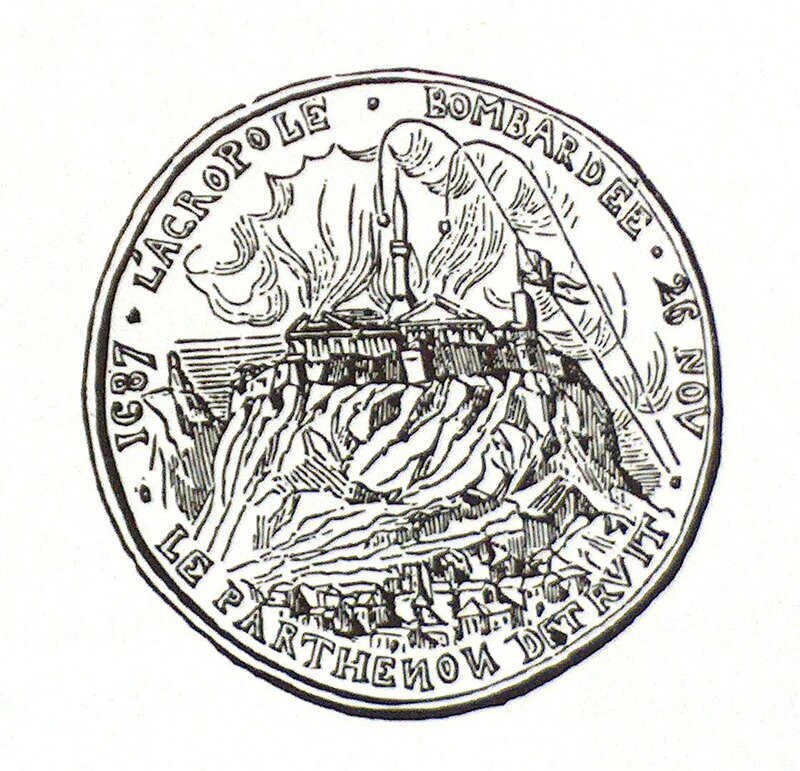 As the majority of the pictures, including the medallion printed for the event, show the bomb coming from the east, I believe that the fateful shot was fired from what sources mention as the “battery of two mortars,” to the east of the Acropolis, in the area now known as Plaka. Although I cannot dismiss the possibility that the shot came from the hill of Mars, I have to admit that the Plaka version of events seems more plausible to me. Can we be more specific than that? Can we pinpoint the location of those guns? 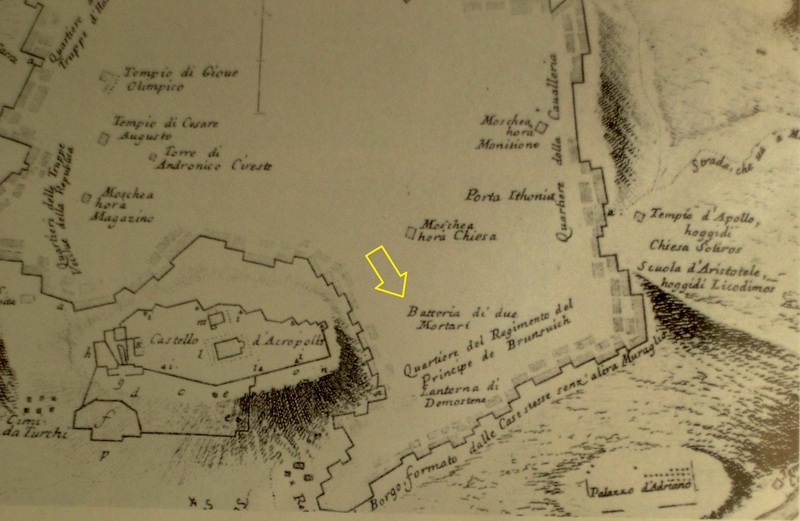 Let us take a closer look at the Venetian map: the battery is shown near a small cross (a church) not far from a cavity in the Acropolis rock (marked in the drawing as a wide arc facing east). There is no other candidate for the church – it must be St. Nickolas Ragavas, which still exists today. If we compare the old map with a modern one, we discover that the the battery must have been in the area surrounded by the streets Stratonos, Thespidos and Ragava. 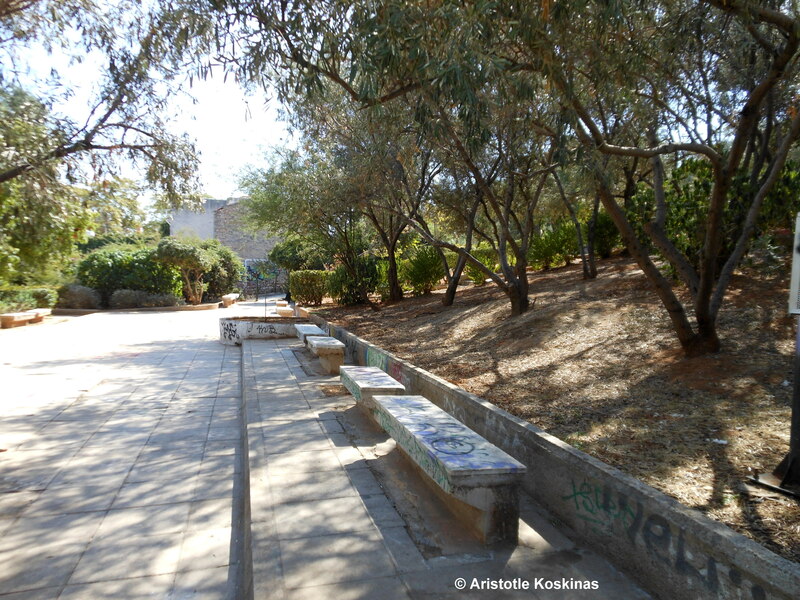 The small park near the church of St. Nickolas Ragavas and possible site of the Venetian mortar battery that fired the shot which destroyed the Parthenon. It is a quiet square, in the upper parts of Plaka, with a totally unexciting view of the eastern side of the Acropolis rock and its walls. It is the same view the gunners who manned the second mortar battery had. They never saw the Parthenon blow up, as the popular theory would have, but instead learnt of their success indirectly, by hearing the deafening noise and seeing the glow of the fire that followed. For a vivid picture, they must have relied on descriptions from their fellow gunners on the western side of the Acropolis or popular prints of the event. As for the moon (if accounts are correct and the explosion did indeed take place around 7pm on the evening of September 26th) it had not risen yet. According to astronomical data it was a waning gibbous, two days before its last quarter, and as such it would have risen above the ridge of mount Hymettus a little after midnight. Some say that the bombing of the Parthenon was an unfortunate accident of war. However, there are accounts that the disaster was deliberate. 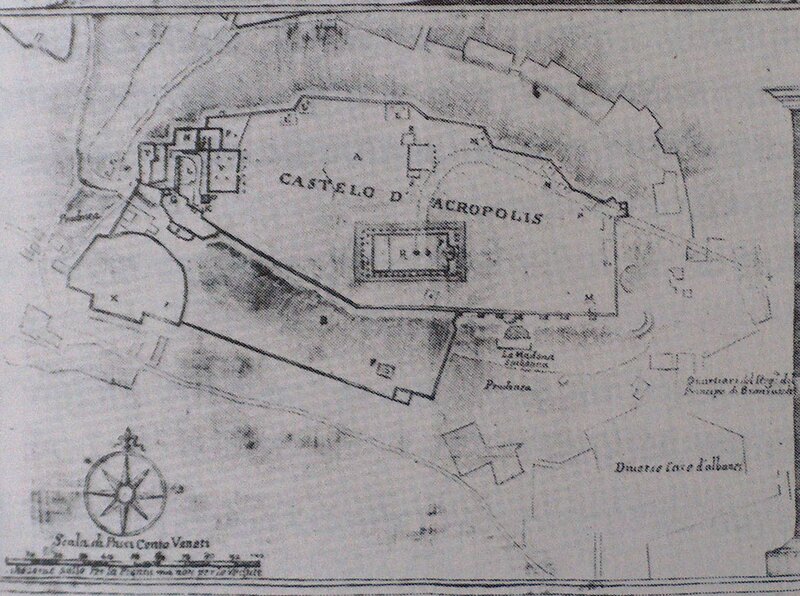 It seems that someone had escaped from the castle and ran to the Venetians whom he informed that “all of the ammunition had been transferred to the so-called Temple of Athena and that all of the Turkish dignitaries had taken refuge there in the belief that the Christians would never damage the temple. After receiving the information, most of the mortars directed their fire at the temple.” (testimony of a German mercenary, quoted here). Once again, the necessities of war superseded any respect for irreplaceable heritage (not to mention life). Yet, despite the contrition displayed by the perpetrators after the fact, the lesson was not learnt. To this very day, priceless monuments are destroyed alongside priceless lives, sacrificed in the pointless infighting among men, for little or no gain at all. This unlearnt lesson, this ongoing disregard for the relics of what made us into what we are, is to me cause for more sorrow and concern than the destruction of a single monument, even one as unique as the Parthenon. Update: Most of the pictures I based this article on are now easily accessible to the public as part of the temporary exhibition of the National Archaeological Museum, titled “A dream among splendid ruins,” running from September 2015 to October 2016. For more information, see a relevant post. This is a great article; so much info I didn’t know. Thanx for posting. Ooh, this is just great! Very informative. It’d be great if someone would actually make a movie about it some day. Ha-ha. Who knows? Perhaps someday someone will. I’d love to see that. Thanks for this interesting and informative post! I am researching the ways in which ancient monuments have been depicted in the past and I wondered – could you tell me a little about the sources of the pictures? When were they made and where can I find more info about them? I am interested in the Venetian army maps in particular. Many thanks! The army maps date from the actual siege and the engravings were made shortly after (engravings were the means through which news were propagated at the time, so many were made for events that captured the public’s attention.) All are from the Gennadius Library in Athens (http://www.ascsa.edu.gr/index.php/gennadius/), although I’m sure the Venetian archives (http://archiviodistatovenezia.it/index.php?id=46&L=3) will have duplicates of those (and many others too). I believe they will respond to a request for information but the actual prints are not available online. Most of the pictures I based this article on are now easily accessible to the public as part of the temporary exhibition of the National Archaeological Museum, titled “A dream among splendid ruins,” running from September 2015 to October 2016. For more information, see this post: https://aristotleguide.wordpress.com/2015/09/27/how-the-parthenon-was-blown-up-in-pictures/. Do you know where I can find information on the dimensions of mortar from your photo taken in the castle of Nafplion? To my knowledge, these guns have not been published yet, nor research has been conducted on their properties. Therefore, I can offer no dependable information as to their calibre, range, etc. However, if it is only the actual dimensions of the mortar you want, I could carry a measuring tape with me next time I go to Nafplion (in about 2 weeks’ time). Let me know if that would be satisfactory. You are very kind, and these two weeks will be perfectly OK. In return I can, if you are interested, when I finish the calculations, send to you datas about weight of corresponding bombs, how much black powder were in the bomb, and how much fired propellant (also black powder) supposed to launch the bomb. All measures will be in Venetian pounds and kilograms. That would be very interesting indeed. Thank you. I come from Japan. Thank you for following my blog. Your report is detailed and interesting. I am interested in current Greek economy and ancient Greece. What is a Licensed Guide? Do I need one? 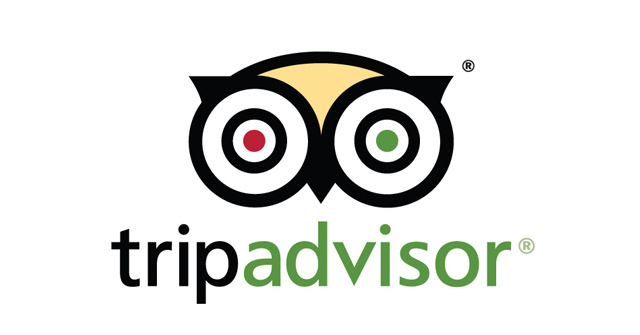 FAQ: Acropolis, Parthenon, what’s the difference? FAQ: why does the Orthodox Easter fall on a different date than the Catholic one? FAQ: How do you pronounce YES and NO in Greek? FAQ: Do they all wear black? FAQs: you plant orange trees in the streets? The contents of the blog " Aristotle, guide in Greece" by Aristotle Koskinas are licensed under a Creative Commons Attribution-NonCommercial-NoDerivs 3.0 Unported License. For originals of the pictures or permissions beyond the scope of this license please contact arkoskinas@ymail.com.